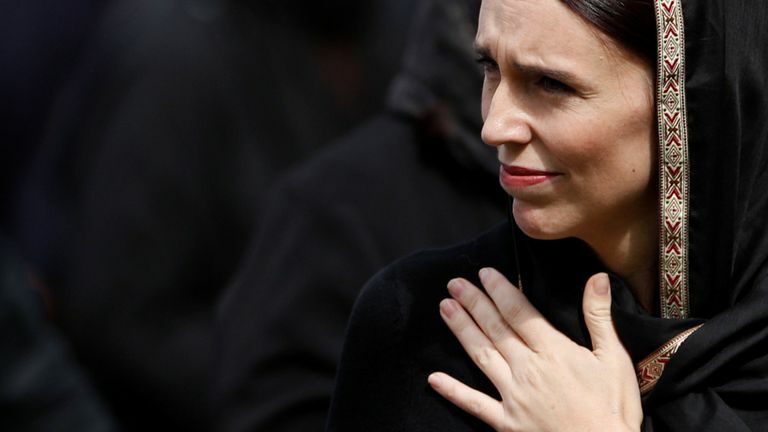 New Zealand’s prime minister, Jacinda Ardern, joined thousands in a two-minute vigil, a week after the attacks on two mosques in Christchurch. 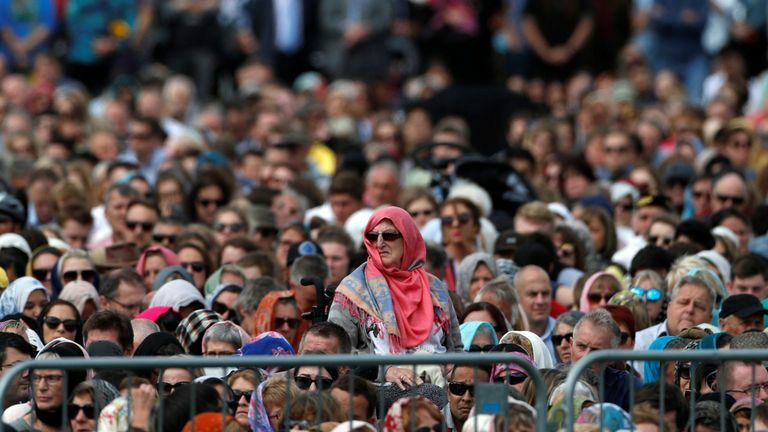 She joined Muslims and non-Muslims in Hagley Park, opposite al Noor mosque, to observe the call to prayer followed by the silence. 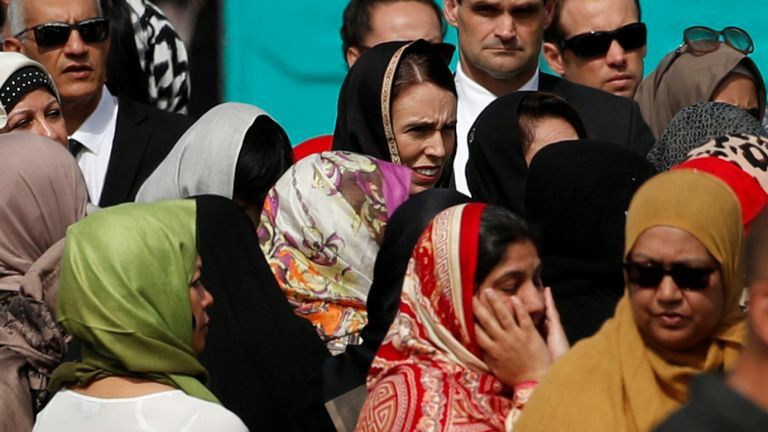 At least 42 people were killed in al Noor mosque, and seven in nearby Linwood mosque, after a gunman opened fire at about 1.40pm on Friday 15 March. 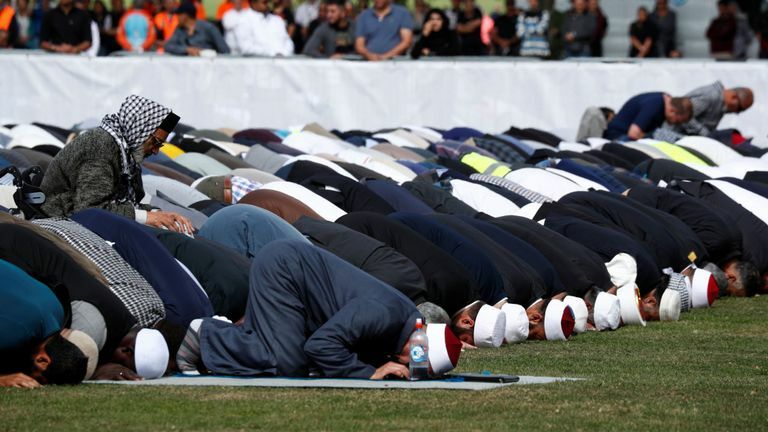 The call to prayer and subsequent silence was also broadcast on television and radio with thousands tuning in. 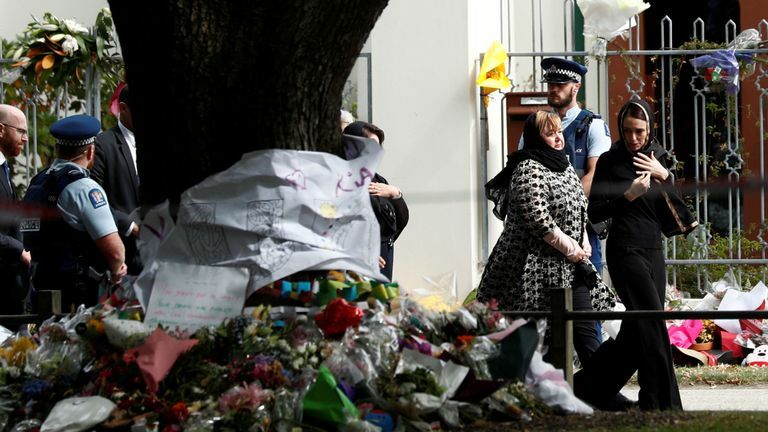 It comes the day after the government banned “military-style” semi-automatic firearms and high-capacity magazines like the weapons used in the attacks. The country does not have a constitutional right to bear arms. 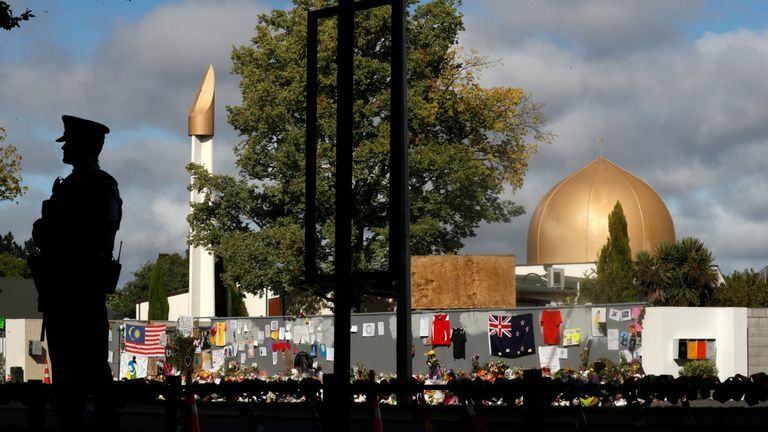 After the call to prayer, Imam Gamal Fouda, from al Noor mosque, said: “Last week I stood in this mosque and saw hatred in the eyes of the terrorist. 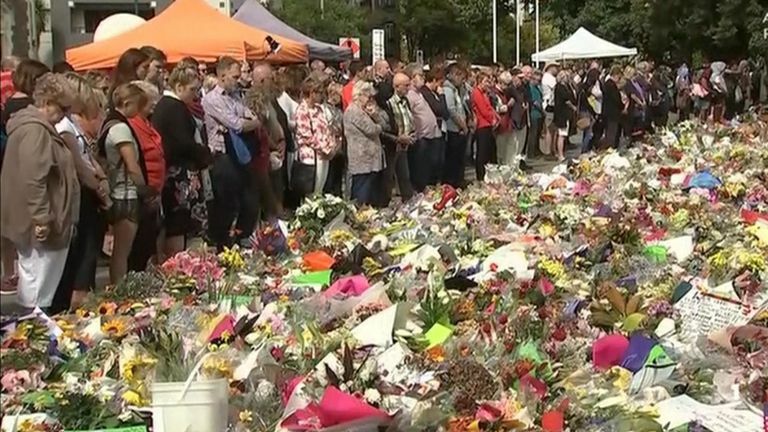 He said the terrorist sought to tear them apart, but that they had shown New Zealand was “unbreakable”. He thanked supporters for their love, the flowers, the Haka. 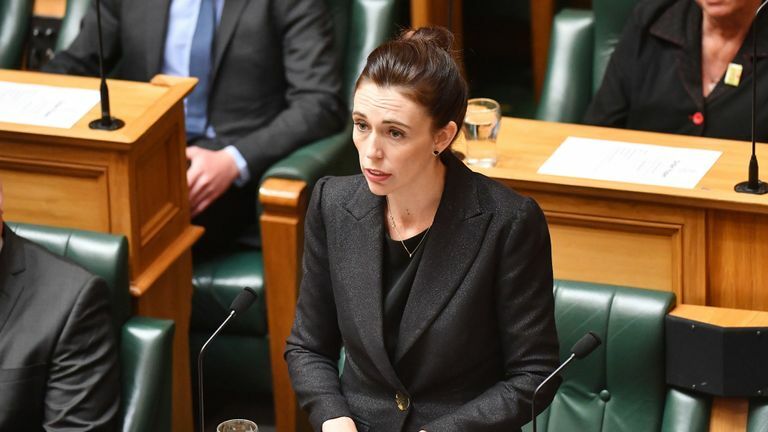 He thanked Ms Ardern for her leadership, saying it was an example for world leaders. 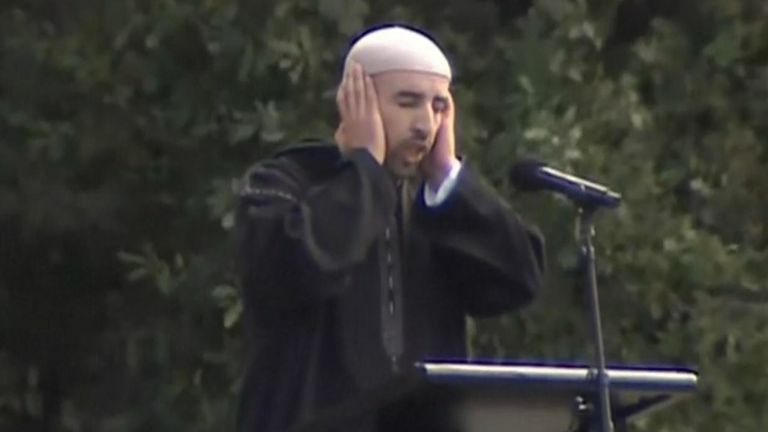 A second imam told the crowds “Islamophobia kills”. 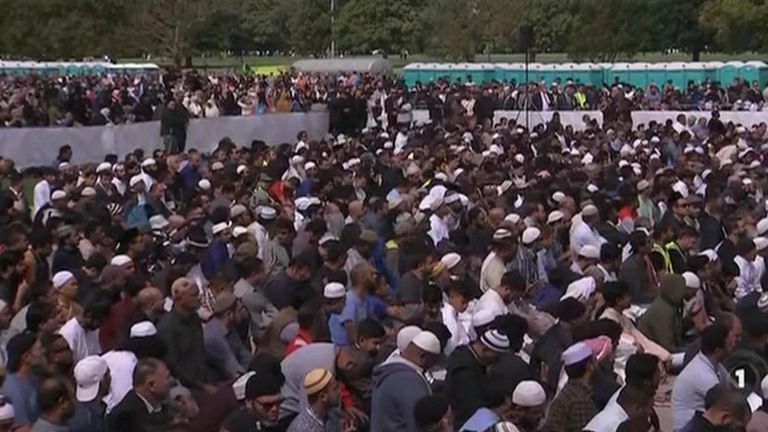 He said the attacks proved that terrorism has “no colour, race or religion”. Ashir Rizvi, 29, who survived the shooting, said: “It’s just heartbreaking. 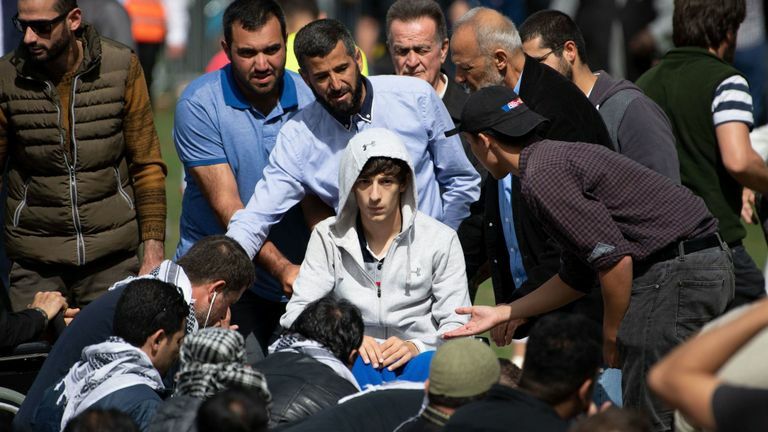 The first thing when we went there, I looked at Faisal – my friend, he’s my housemate as well – the first thing I told him [was] ‘Mate, this could have been us’, and I just started crying. Burial of the victims began on Wednesday, with a final mass burial planned for later today. Australian Brenton Tarrant, 28, a suspected white supremacist, has been charged with murder following the attacks and was remanded without plea. He will reappear in court on 5 April when police say he will likely face more charges.